With influences ranging from Rock legends, The Rolling Stones and Grunge deities, Nirvana, Liverpool foursome, Black Seasons are forcing two notoriously apt genre's together to create a draw dropping catalogue of ingenious tracks. Two years have passed since this project began, the brainchild of front man Charlie Bragg and lead guitarist Dan Du Noyer. Releasing debut EP this May, this self-titled beauty flaunts the numbing drone of everyday life, unafraid to confront society yet equally unfazed by the drab of everyday life. Opening track 'Maverick' opens up a world of mind blowing rifts from Du Noyer which accompany Bragg's voice succinctly, showing just how ruthlessly potent his vocals are as they fuel a slow burning, backing instrumental. Perfectly carrying an enchanting chug, the track has a washed up eeriness leaking from the onset, keeping listeners waiting wide-eyed as they sit through a second or two of nothingness after the opening chime. Forcing a rough and ready ideology down our throats, there is no escape, 'Maverick' is anxiety. This harrowing theme crawls throughout each of the remaining tracks, lurking like a bad smell. We're injected with the fear of the unknown, recreating the pandemonium Nirvana still hold upon their audience till this very day. This is the kind of music that teaches you to fend and keep to yourself as nobody will be there in the end. 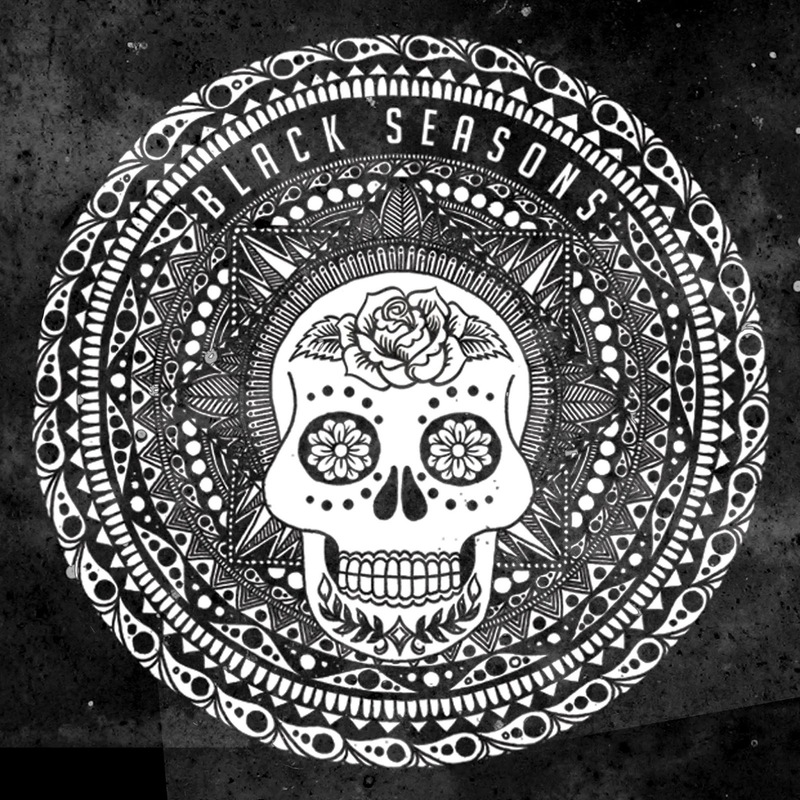 Delivered in sinister doses, Black Seasons make sure we're familiar with this and final track 'Amputate Me' goes beyond summarising this darkness. Opening with a Lou Reed style strain, here is the harrowing underbelly of today's spoon-fed societal values. Engulfed in a raw addiction, we can't let go, attached to the music, we see no end. Numi Sigurdarson's bass line falls helplessly to an inanimate waveform which pillages brains amidst a smooth bluesy guitar that is in the middle of seducing a gripping beat from Lloyd Bull. Once finished, there is complete silence. Now you are left to acclimatise to the prowess that has just been exhumed.